Adults only in high season. Babes in arms welcome, cots can be provided. Not suitable for toddlers. Carhire at airport, 45 minutes drive to the hotel. However, carhire is not essential. 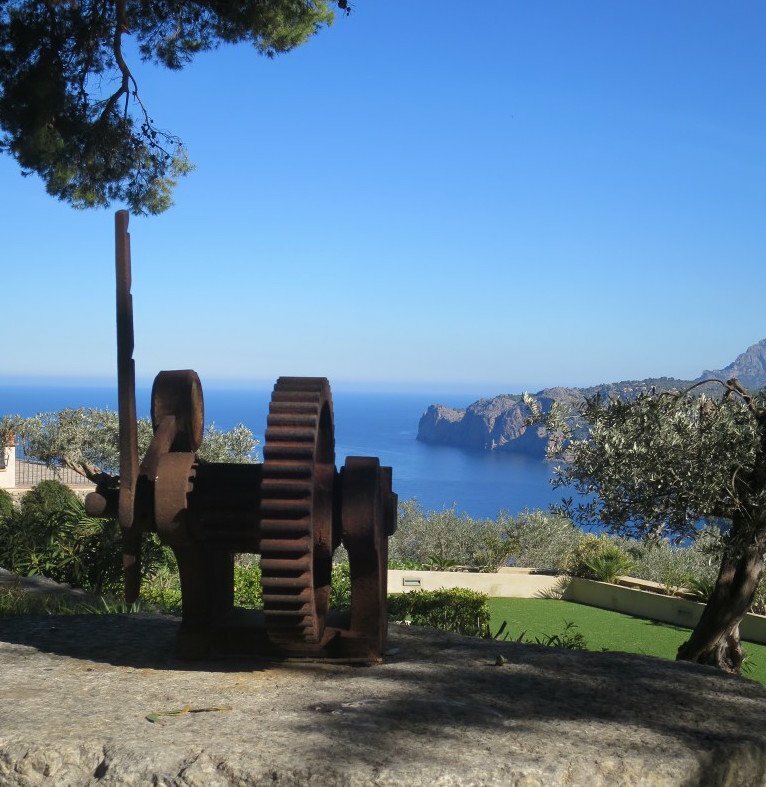 Sa Pedrissa Agroturismo, nestled between the Tramuntana mountains and the Mediterranean sea has cleverly positioned it´s reception area on the seaward side of this old finca, offering you to a jaw-dropping vista of the northwest coast of Mallorca, stretching out before you. This adults only family owned and run hotel has delivered a kind, welcoming and attentive service to its clients for over 20 years. 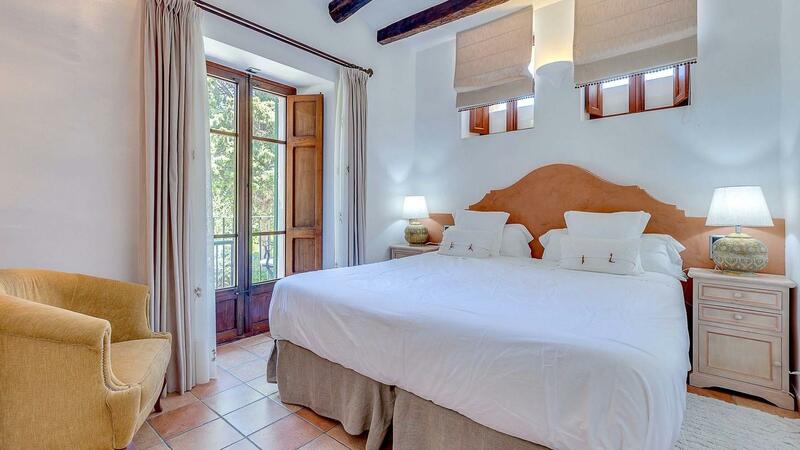 Sitting just 2 km outside Deià, it is perfectly situated for you to explore the village. 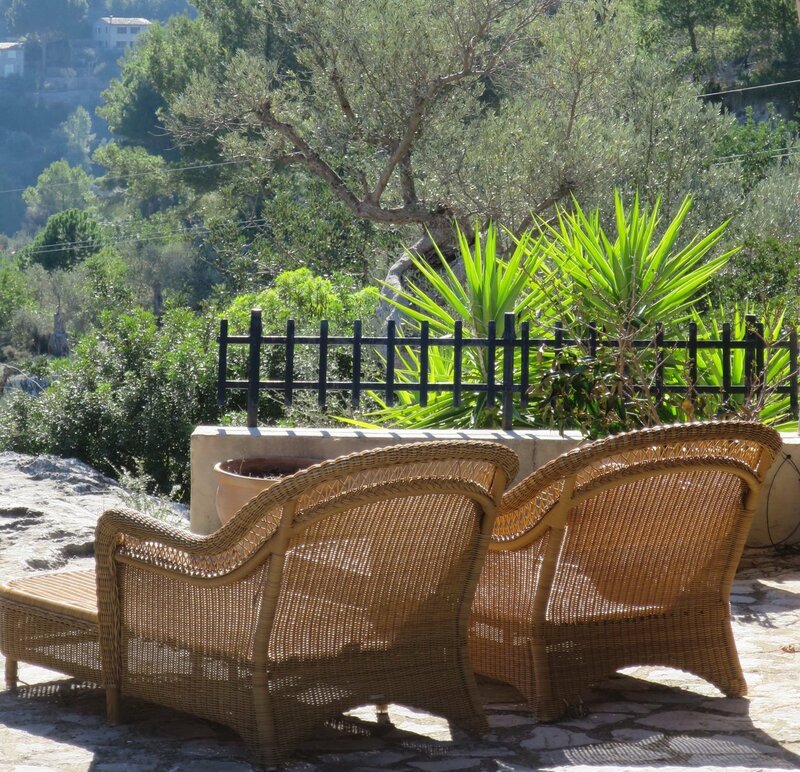 Valldemossa a 10 drive away or, a little further afield, Soller and its Port are just a 25 minute drive. Most of the bedrooms, the lounge and restaurant are situated in the main house (or main farmhouse as it would have been), with flagstone floors and its ancient higgledy piggley walls and doors bearing testimony to its 300 year old history. All the bedrooms are light-filled and spacious and all are tastefully decorated in colours to compliment the large ornate traditional bedroom furniture. As a luxury low season traveler you could upgrade and enjoy one of their two cottages, each boasting their own secluded terraces overlooking those magnificent views. Or if you really fancy splashing out, literally, then book the new Grand Suite with its own private pool. In the cooler months you can enjoy the indoor lounge, with its crackling fire or enjoy a lazy supper offered in the dining room which has its tables situated around the around the old olive press. 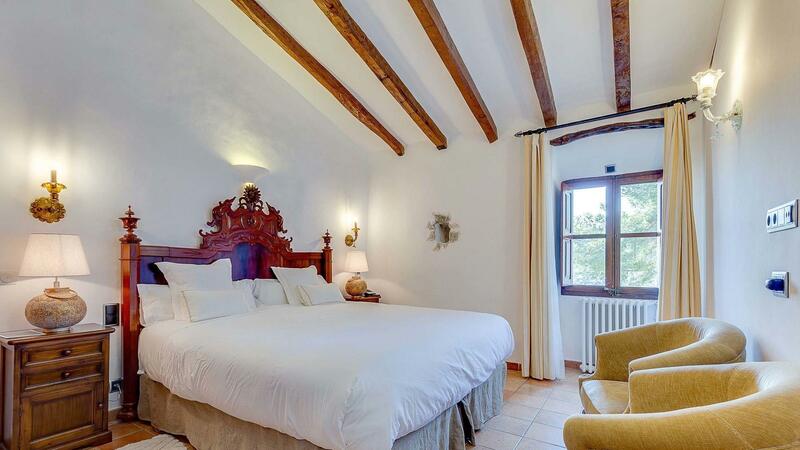 Sa Pedrissa Agroturismo is all about Mallorcan tradition, in the buildings, furniture and furnishing and history in a magnificent setting overlooking the Mediterranean. 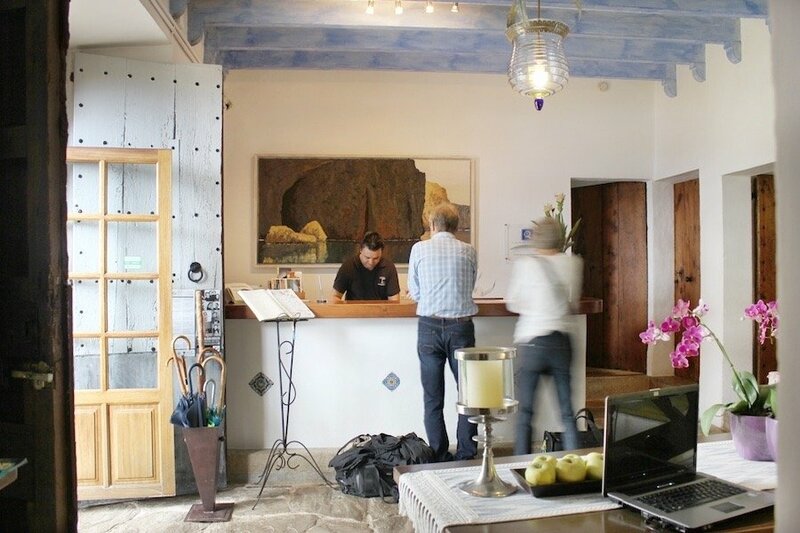 You will receive a warm welcome from all the staff who are knowledgable about the area and will ensure that your time spend here is a memorable one. Its all about keeping it local. Traditional Mallorcan furniture and furnishings in all the bedrooms and even shower and bathroom products are made locally. Tot-herba, socially responsible and environmentally friendly products using only natural raw materials. The extensive “a la carte” breakfast is served either inside in the cosy dining room or outside on the terrace. Offering pastries, homemade yogurts, jams and marmalades, freshly squeezed orange juice all locally sourced. You can even purchase the preserves to enjoy with your memories when you get home. 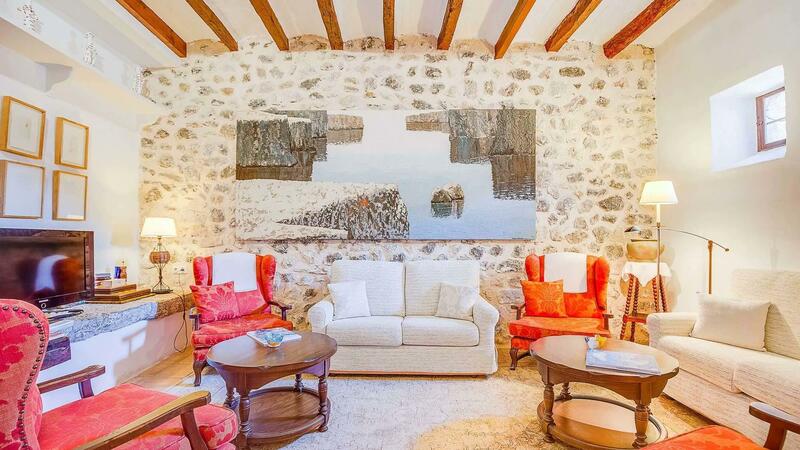 The spectacular location, and views from this beautifully appointed old finca. During your stay here, drink in the most amazing coastal views in all of Mallorca, in the setting of this historic property. Built for shelter from the winter elements on this cliff top position, before the age of central heating, and for cool comfort away from the burning heat of summer. This old finca was build to last. Originally owned by the Archduke Louís Salvador of Austria in the 19th century, who resided in the neighbouring property of Son Marroig, (now a museum) it was thought to have been purchased to farm crops for his estate and staff. Each year there is a music festival held in Deiá which features concerts held at Son Marroig which are unmissable. The Archduke fell in love with Mallorca and devoted himself to studying and recording Mallorcan wildlife and it´s traditions, producing a seven volume Las Baleares journal which is still considered an authority to this day. The farm and its land have now been converted into a stepped exotic garden, strewn with benches for quiet contemplation and enjoyment of that truly spectacular view. 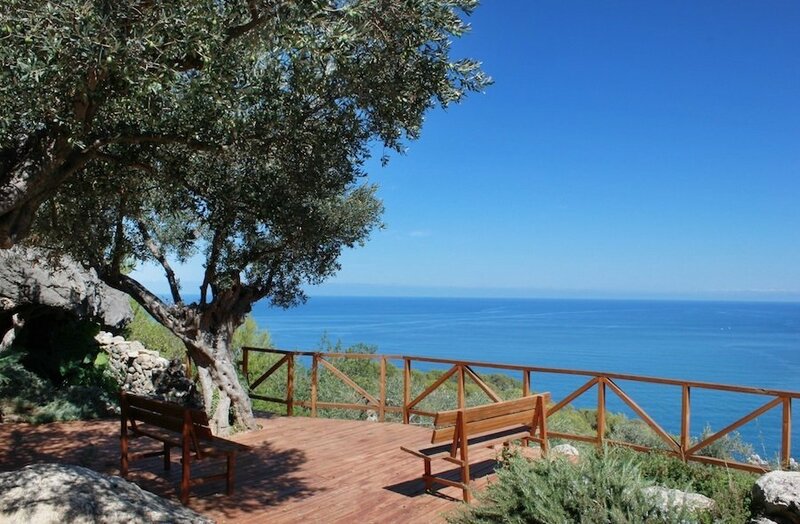 This agrotourismo hotel is one of the most peaceful hideaways on the island. There is a set lunch menu for €35.00 and a dinner menu. Enjoy “Gambas de Soller” carpaccio with local bread and tomatoes or black rice with cod, just a sample of the seasonal menu on offer from the Chef and his team. Images kindly provided by Hotel Agrotourismo Sa Pedrissa, MallorcanTonic.com.